Technically established in 1833, the luxury watch and clock manufacturer was founded by Antoine LeCoultre. LeCoultre was so good at what he did that he received a gold medal for his precision and mechanization at the very first Universal Exhibition. It wasn’t until around 1937 when the company changed its name after collabing with Edmon Jaeger. In 1907 they created the world’s thinnest movement at just 1.38mm thick at the time. In 1951 they released the very first 100% automatic watch, the Futurematic. 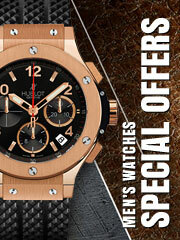 If you are a luxury watch connoisseur, then this is definitely the brand for you! Jaeger Lecoultre meticulously combines traditional craftsmanship with cutting-edge design to make unique watches. It is the fusion of past, present and the future that makes their style so effortless yet elegant. 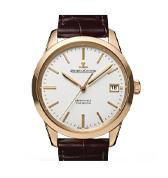 Jaeger Lecoultre is a Swiss brand company that was founded in the 19th century. Customer satisfaction along with innovative design is their top priority. They are also quite popular for their clocks and introduced their first alarm watch in 1950. The company started from a small workshop founded by Antoine Lecoultre and flourished to become a huge name in the watchmaking industry that it is today. Since its birth, the company has created more than 1200 calibers. 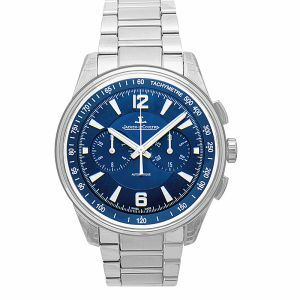 Jaeger Lecoultre has a huge variety of products to offer from watches with a classic flair to sleek and simplistic watches for women as well as men. Jaeger Lecoultre is well known for Reverso. 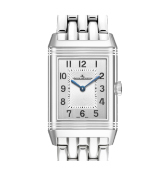 The Reverso comes in stainless steel and is inspired by the art deco movement. Therefore; it means that it is characterized by geometric shapes with a ‘streamlined look.’ It is timeless in design. With the passage of time, the Reverso has undergone evolution from only stainless steel sports watch to the ultimate depiction of luxury design. Its features include two dials and day-night indicator. 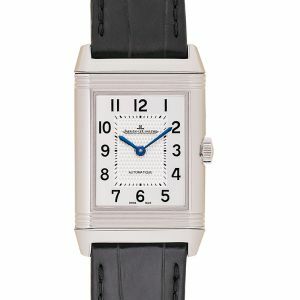 The Reverso model is available for men and women. Since this model was started in 1931, it has come a long way since then. However, the basic principles of its design have not changed much. An interesting fact is that one of its rarest collections featured a portrait of an Indian lady. Its straps can be manufactured in steel and leather. Recently, Jaeger Lecoultre collaborated with Christian Louboutin to produce a very stylish version with an avant-garde twist. It is created according to the principles of sidereal time. Sidereal time was an ancient technique used by astronomers to record time under the constellations. Its depth of display is highly captivating and a treat to the customer’s eyes. Another intriguing feature is the map of constellations in the display which adds to its intricacy. The ultra-thin model does not only serve the purpose of fashion but is also extremely comfortable. In short, it is light on the wrist. It aims to reduce the thickness of mechanical watch movements. This series was created in 1992 in the company’s Grand Maison headquarters. Each watch is characterized by attention to detail and crisp lines. The Master control watches have undergone a number of tests for durability and performance. They are waterproof and highly accurate. The Master watches are sold in a variety of materials from stainless steel to platinum to white and rose- gold. 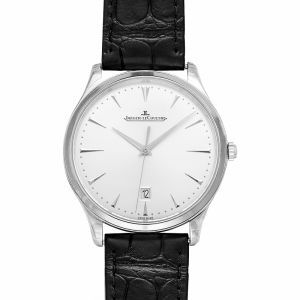 Minimalism is the main feature of the Jaeger Lecoultre master watches. This line celebrates the beauty of 19th-century watches. The dials mostly have a grainy finish. The colors of these watches are usually soft and subtle tones. Customers are stunned by the detailed working of Master watches to this day. This collection exudes elegance, spirit, and sportiness. It is designed to function as a companion to travelers. It portrays the significance of an active man’s life. It not only pays homage to classic design but is an amalgamation of functionality and grace. Most of these watches really shine when worn casually. However, they can also be worn to business meetings and formal occasions. This series comes in a number of finishes with sunray, grained and opaline dials in blue and grey. 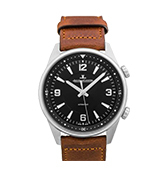 The Polaris watches are also water resistant with several options for straps including leather and steel. The luxury industry is transforming rapidly due to its customer’s demands. 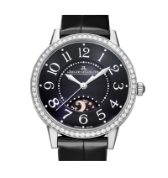 Jaeger Lecoultre has become a big name in the world of luxury watches and novelties. 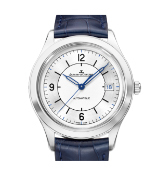 A variety of Jaeger Lecoultre watches are available in both local and online stores. This gives customers the opportunity to explore their options, do more research on the specifications and finally choose the most suitable product. A number of discounted deals are available online which can prove to be valuable to the buyers. 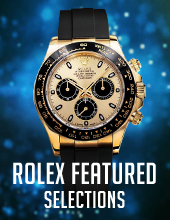 Moreover, people living in countries where this brand does not have outlets can purchase the most luxurious watches from the comfort of their homes. This is not only beneficial to the customers but also to the business itself. So what are you waiting for? 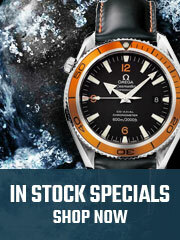 Your favorite watch is just a few clicks away! Jaeger-LeCoultre makes fine watches. And by fine, we mean excellent! Jaeger-LeCoultre watches are some of the most extravagant and luxurious watches around. 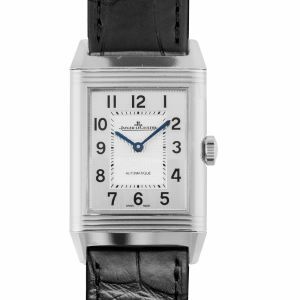 The Reverso is one of their most popular watches, as it’s been around since 1931. 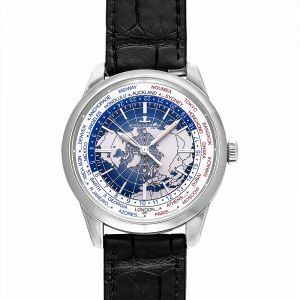 Other popular collections from Jaeger-LeCoultre include Polaris, Master and Geophysic.